Hello friends, thanks for stopping by! I'm ready for spring and luckily I've been having beautiful weather here lately. Today's card reflects my current mood with pretty spring colors and a sweet scene using the products from Pretty Pink Posh. To create the card I trimmed two white card stock to 5¼x4. Then, I used the cloud die from Rainy Days Dies set to die cut five clouds using masking paper. I adhered the clouds on the trimmed papers and applied distress inks in Spun Sugar, Picked Raspberry, and Citrus Citron. I just love those two colors together with the blue birds. After, I stamped the sentiment using blue dye ink. I created a window on the the front panel using the largest window from Peekaboo window dies. I actually used the die twice (carefully lining it up) because I wanted my window to be bigger. Then, I flipped it over and added foam adhesive behind the front panel. I lined it to the other card stock and adhered the two together. 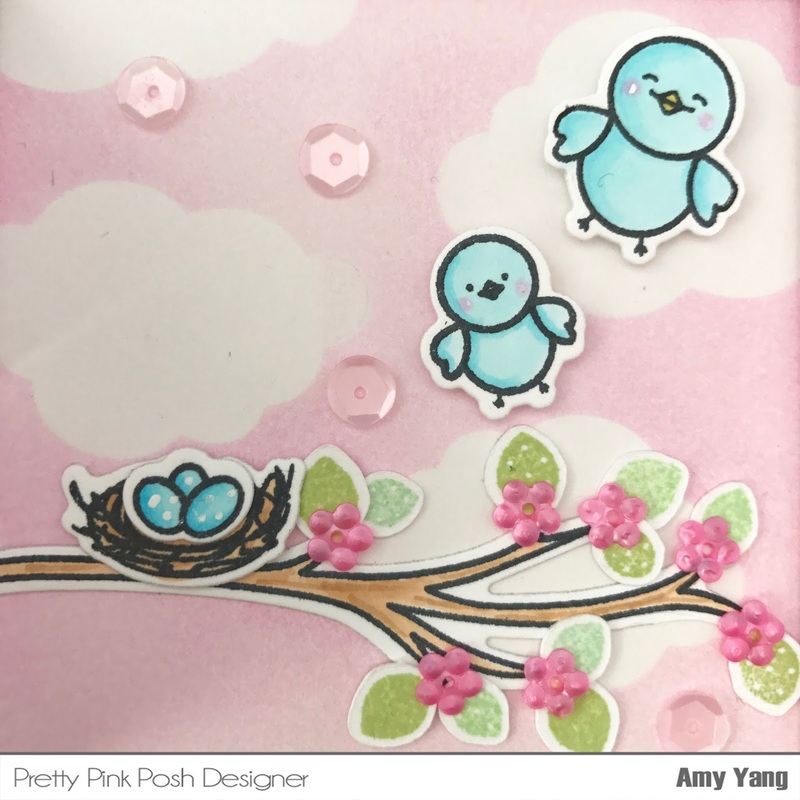 For my images, I used the adorable Birdie Friends stamp set and the coordinating dies. I stamped the images and colored them with copic markers. For the birds, I used copic colors B02, B01, B00, and B000. The solid stamp leaves were stamped with shades of green dye inks. Lastly, I adhered the images to the card and and placed some sequins from the 4mm Springtime and Easter Mix to add interest and texture. You can't have a Pretty Pink Posh card without using some of the beautiful sequins the store sells. 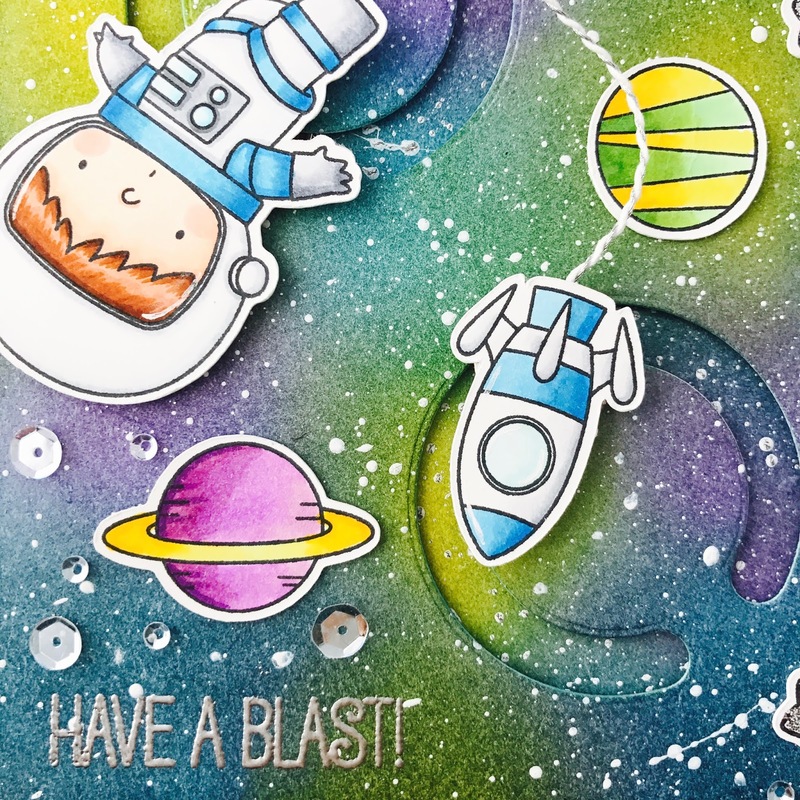 Today I'm sharing a fun interactive card I made using MFT: Space Explorer and the Circle Spinner Channel Dienamics. I applied Distress Inks on Bristol paper to create my bright galaxy sky. 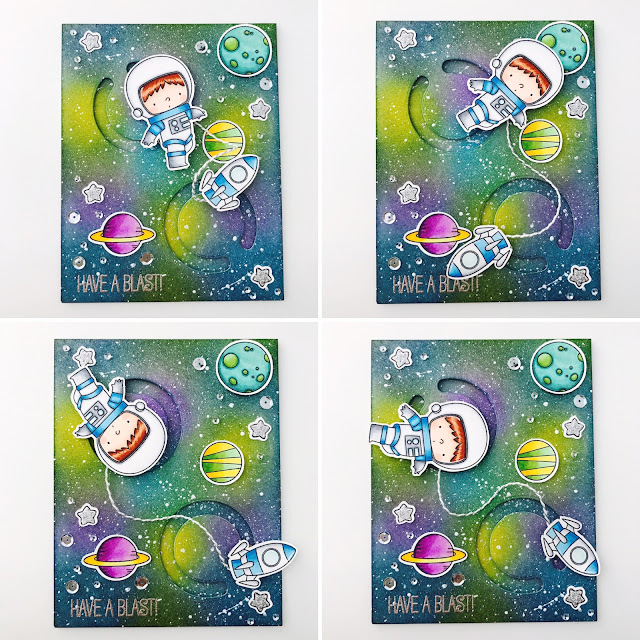 I love to make interactive cards and when I got this stamp set I knew I had to make at least one spinner type card. I applied distress inks on two trimmed card stocks, one for the top of the card and the other for the bottom ( on my second layer I could've have just added ink where I needed it but at this point I didn't know where or how many spinner channel I was going use). That way once I die cut the top with the spinner die the colors will be the same in the open areas. I splattered white dots using copic opaque white paint. I colored the images using copic markers and added silver stickles to the stars for shine. On my front panel I die cut two areas using the smaller spinner circle. I then flipped it over and added foam adhesive. 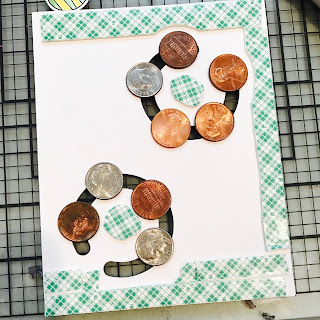 If you look at the picture below I added dimes and pennies around the die-cut to make sure I keep that area open for the coins to spin around. If you want the objects to spin freely, you need to add two layers of foam adhesive. I stamped the sentiment using versamark ink and heat set the silver embossing powder. I added a string between the boy and his rocket and adhered all the pieces together. Lastly, I glued on some Pretty Pink Posh sequins to more added shine and texture to the card. 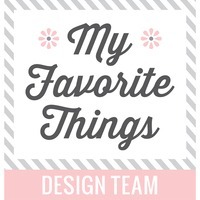 Today I'm sharing a project I made using Pretty Pink Posh products. This is a fun shaker card using Birdie Friends, Rainy Days and Rainy Day Additions stamp sets. For this scene, I wanted to have a mother bird with her two different sized chicks. The older chick comes attached to two other birds in the stamp set (see picture below). So I covered the birds I didn't want with washi tape and inked the middle bird. Before stamping the bird on the paper, I removed the washi tape. This gave me an image with tiny missing lines, so I drew in what was missing with the copic liner. 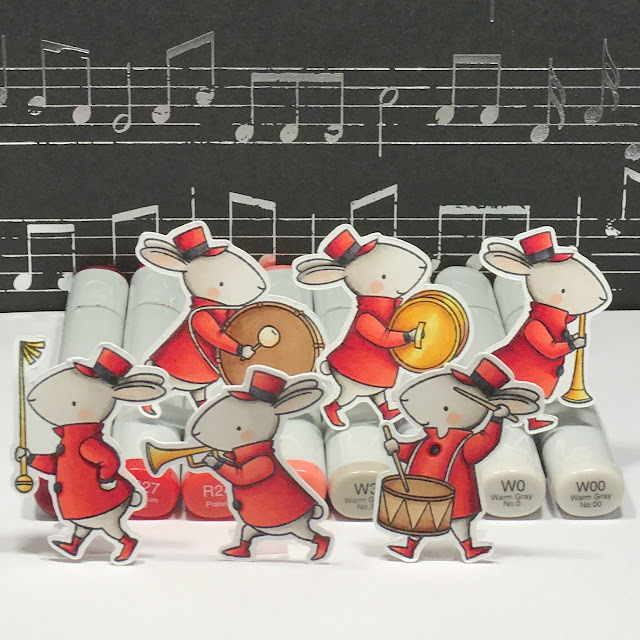 Then, I stamped the rest of the images and colored them with copic markers. After, I stamped the umbrella and the pieces that go with it using dye ink. Everything was cut with the coordinating dies. To create the background, I trimmed paper down to 4x5. Then, I stamped the clouds and raindrops using Versamark ink and heat embossed it using white embossing powder. When it dried, I applied Distress Inks in Mermaid Lagoon, Peacock Feathers and Tumbled Glass. I spritzed the paper with some water for a textured look. I made the shaker window by die cutting white card stock using the larger Scallop Frames die. Then I trimmed the acetate to a size a little smaller than the frame and added the sentiment using versamark ink and white embossing powder. Next, I adhered the acetate behind the shaker window and added two layers of foam adhesive. Finally, I added 3mm Sparkling sequins and light blue sequins to represent rain and adhered the family of birds with the umbrella to the front of the card. I had so much fun working with today's products. I think this card will cheer up anyone's day. I'm back with another project to share with you. 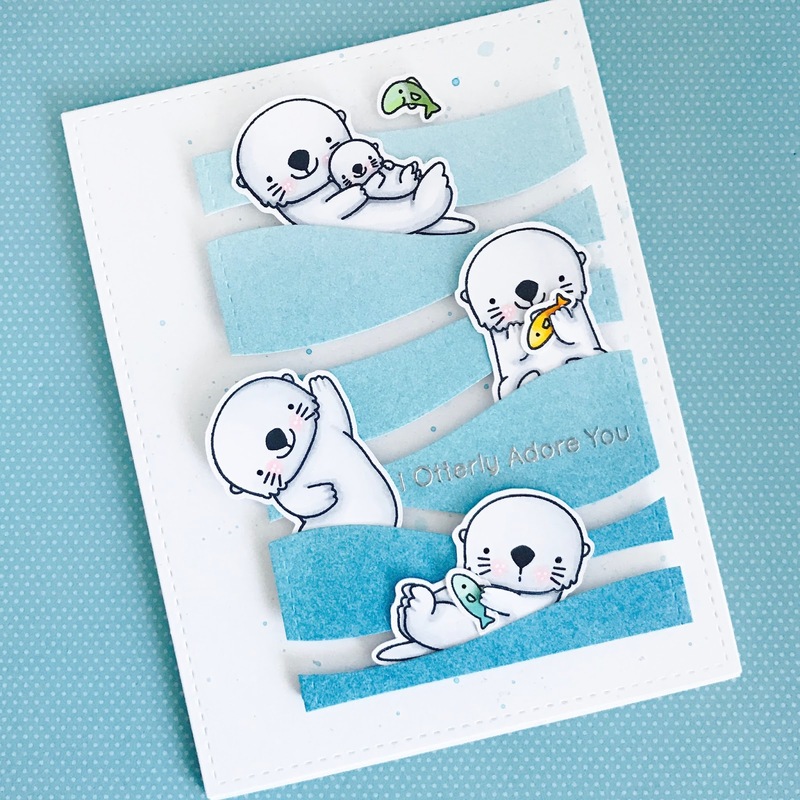 This time, it's an interactive peek-a-boo card using the MFT: BB Otterly Loves You stamp set. 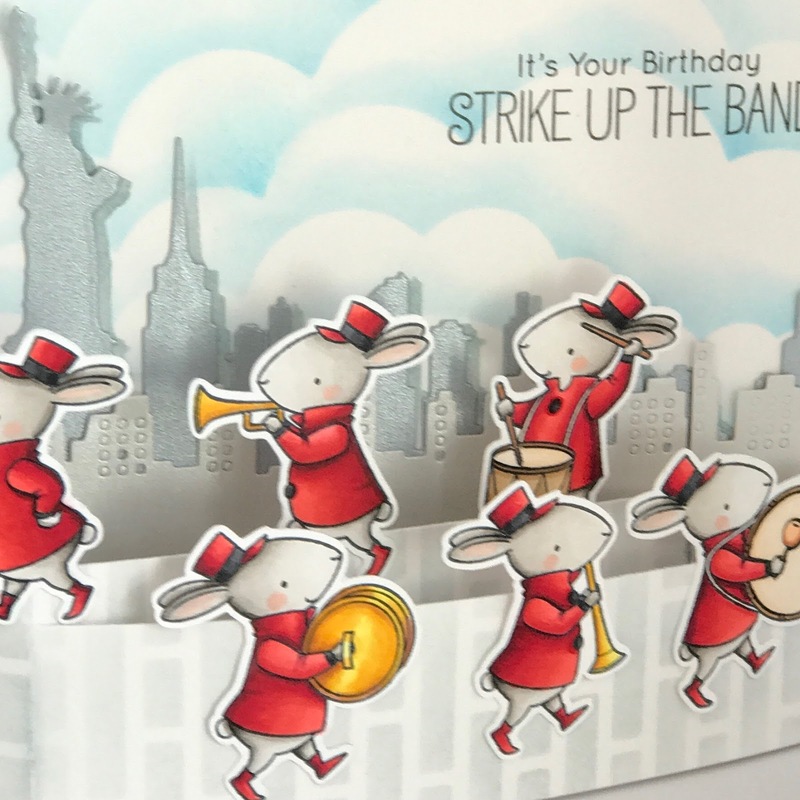 For the card front, I added many layers to create my scene. First, I trimmed 3 white cardstock down to 5 ¼ x4 ½ inches. With the first trimmed card stock, I added Broken China distress ink to use for the front panel. With the second, I die cut Die-namics Stitched Mountain Range and applied Weathered Wood Distress ink, lightly spraying it with water for texture. With the last card stock, I applied distress inks Mermaid Lagoon and Salty Ocean (sprayed with water again). I used the Die-namics Stitched Scallop Basic Edges 2 twice, to create the layers of water. I also used the same die to cut vellum paper, and heat embossed the sentiment in silver. 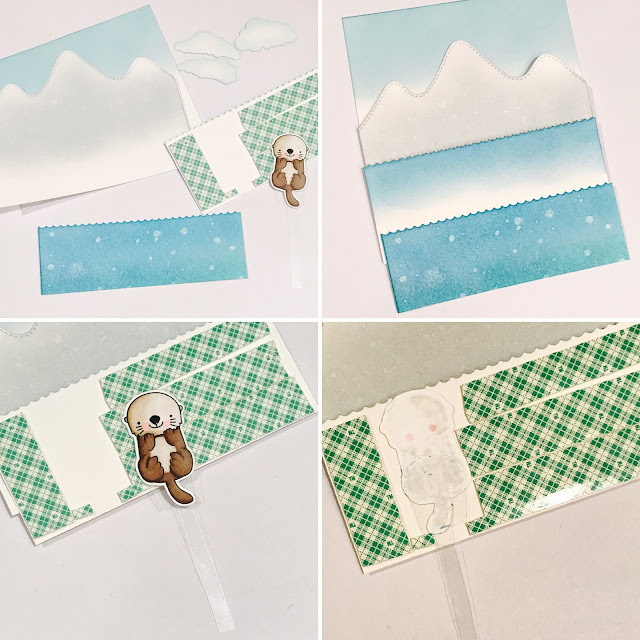 On the die cut paper that is closest to the mountain, I added foam adhesive to create a wall for the otter that moves up and down for a peek-a-boo effect. You want to make sure to add a stopper at the end with a small foam adhesive so the otter can't slide out. I also cut out a lollipop shape from acetate and adhered it to the otter's back. This allows you to move the otter. 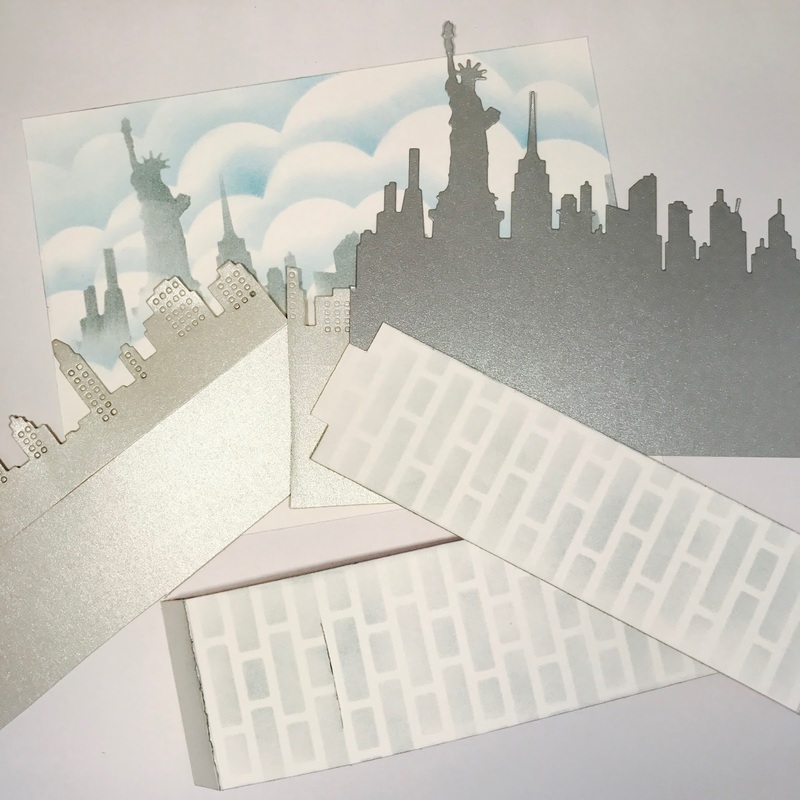 In addition, I die cut white cardstock using Die-namics in the Clouds to add to the front of the card (to add more interest to the scene) and lightly inked them with Broken China distress ink. Finally, I adhered all the pieces together to the main panel and added that to the card base. Here's the pictures showing the otter peeking out of the card. 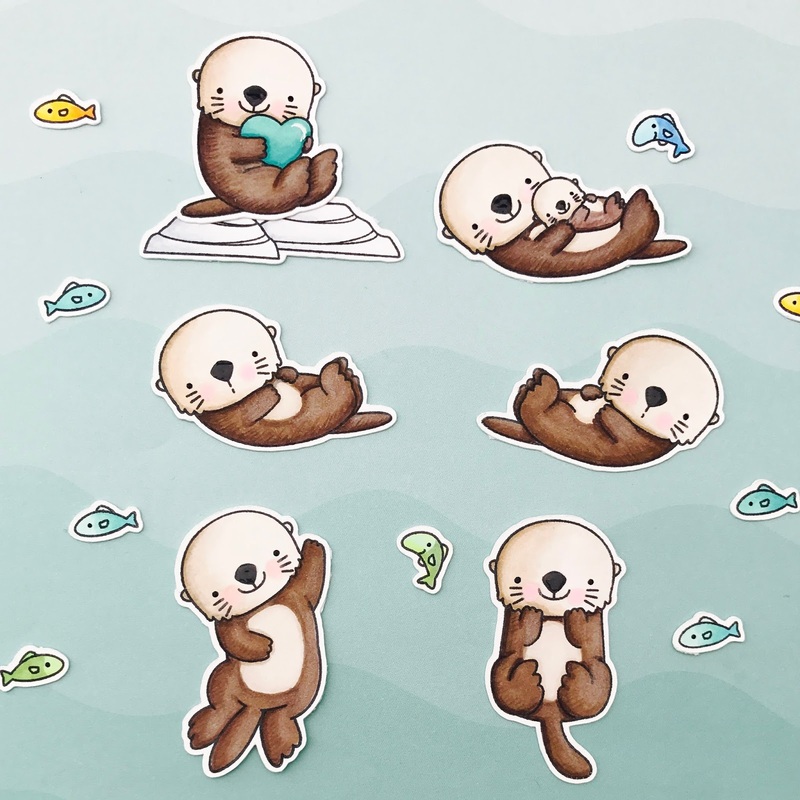 Copics: C03, C0, C00 for the otters. 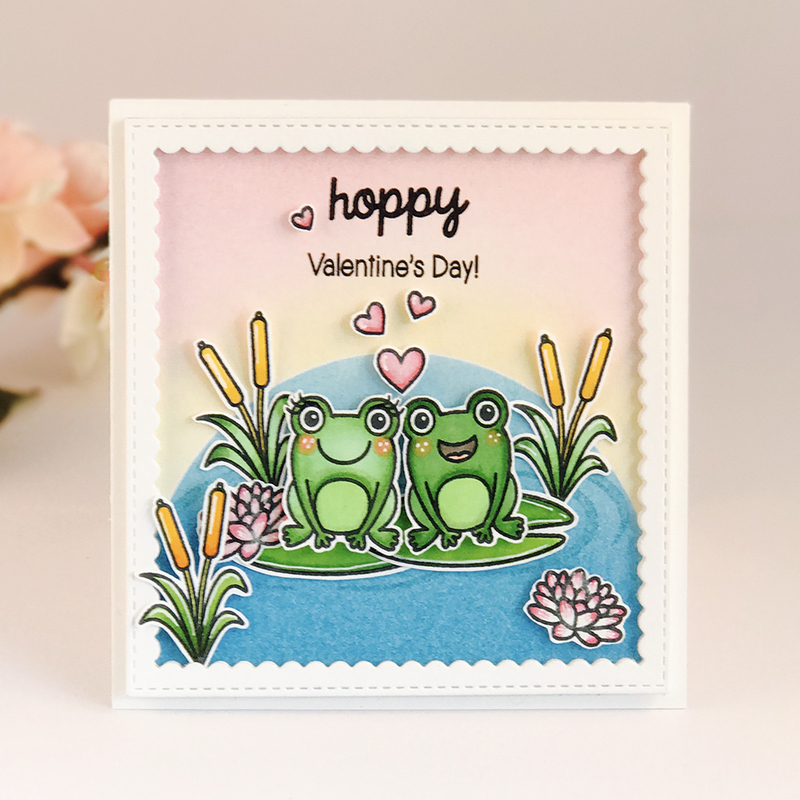 I'm here today to share with you a card I made using the Blissful Butterflies stamp set and coordinating dies from Pretty Pink Posh. I knew I wanted to make a card with this set, but I didn't have a design in mind. So I started by stamping and coloring (copic markers) a whole bunch of them. 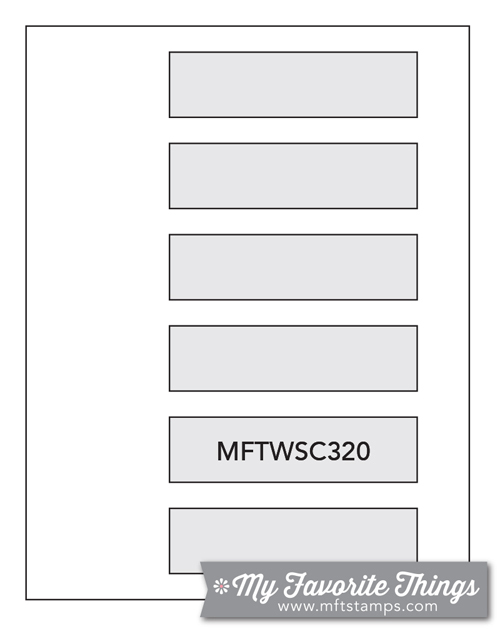 This is when I realized how versatile this small set is, as you'll see in the picture below. Honestly, I could've kept coloring but I needed to stop to make the card I'm sharing with you today. I decided to make a fun and interactive shaker card with the beautiful butterflies and pretty sequins. Using 4/12 square card stock I die cut the the paper using Window Frames die. Then, I made a acetate stencil with the clouds from the Rainy Days Dies. 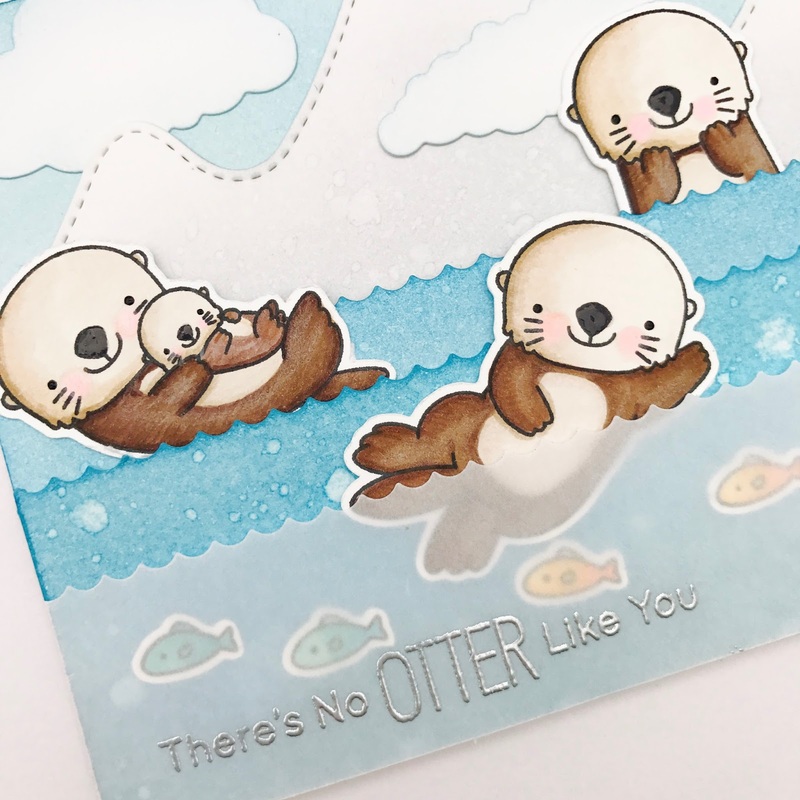 Using the stencil, I applied distress ink in salty ocean to create my clouds for the background. I also applied salty ocean to the front panel and lightly sprayed water on top for some texture. After, I adhered the acetate behind the shaker window and added twos layer of foam adhesive. Before adding the second foam layer, I took one of the butterflies I colored and added an invisible string behind it. Then, I adhered the string to the top and bottom of the foam adhesive (leaving enough string so that it can move). This allows the butterfly to swing and move inside the shaker in a controlled motion. Lastly, I added 4 mm Springtime sequins and adhered everything together. set to make a card for the MFT Color challenge 63 and Sketch challenge 319. This set is perfect for doing color challenges because you change the colors of the scarves to coordinate with the challenge. I also added similar colors to the background using Distress Inks. I think this makes the challenge colors stand out more. 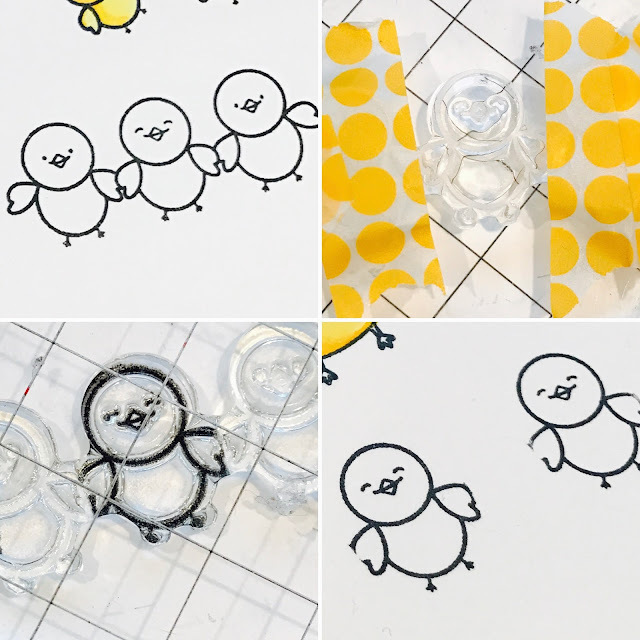 The sketch challenge shows a circle around the middle but I used the family of bears instead. Hi there! Amy here and I am so excited to be joining the Sunny Studio Team! 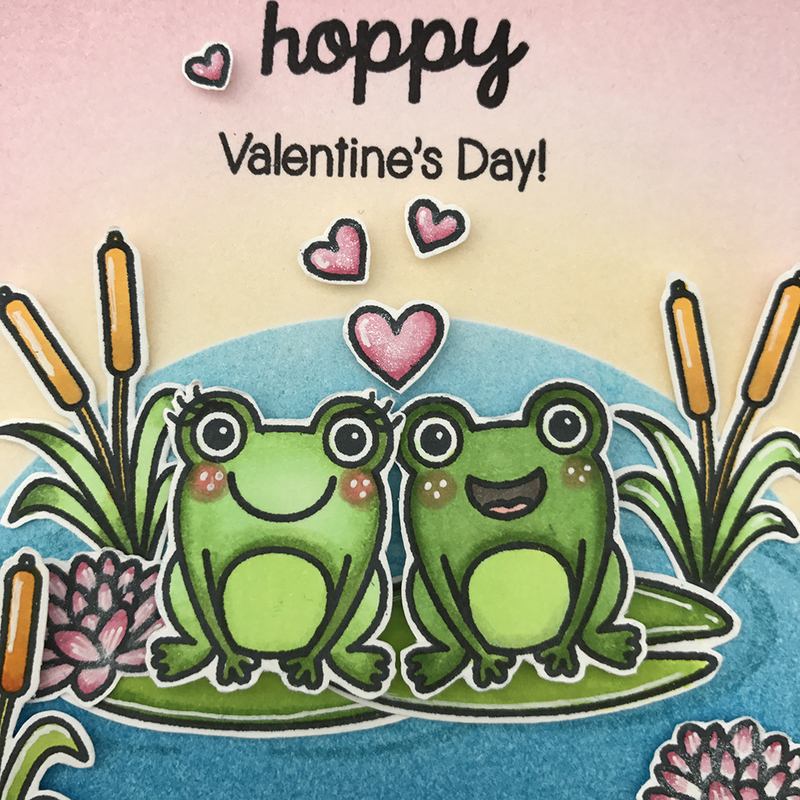 For my first post I wanted to make a card using the adorable images from Froggy Friends stamp set. 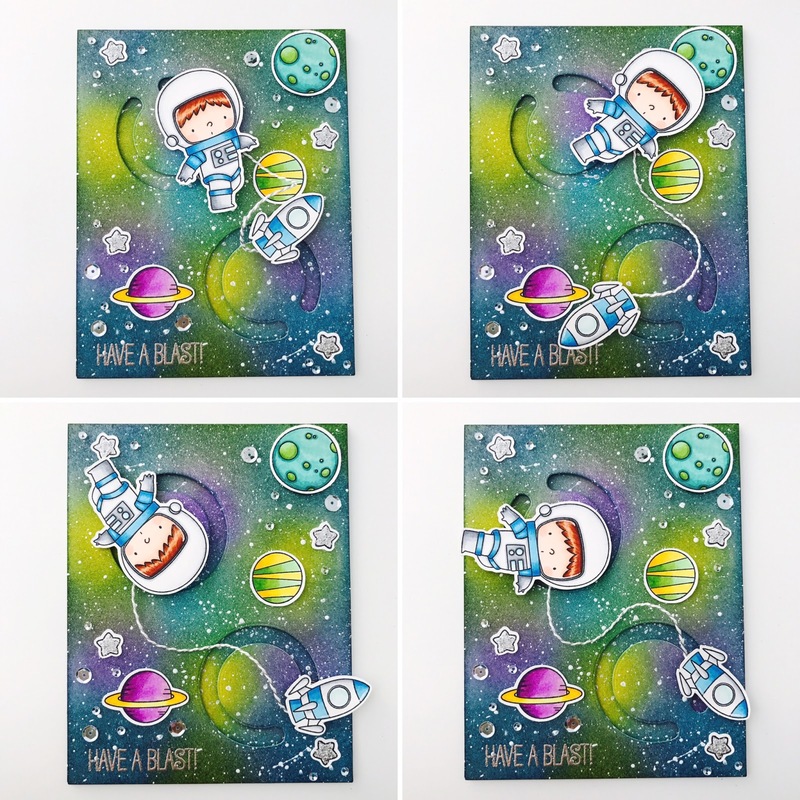 I love how versatile this set is; you can use it to make cards for almost any occasion. With Valentine's day around the corner I decided to create a love themed card to share with you today. First, I trimmed Bristol paper and Masking paper to 4"x 4". Then, I die cut the bottom half of the masking paper with a circle die and used it to mask off areas for ink blending on the Bristol paper. With the blending tool, I applied Distress inks in Broken China and Salty Ocean for the water. I also used Scattered Straw and Picked Raspberry for the skies. I stamped the sentiment from the stamp set using Archival ink. 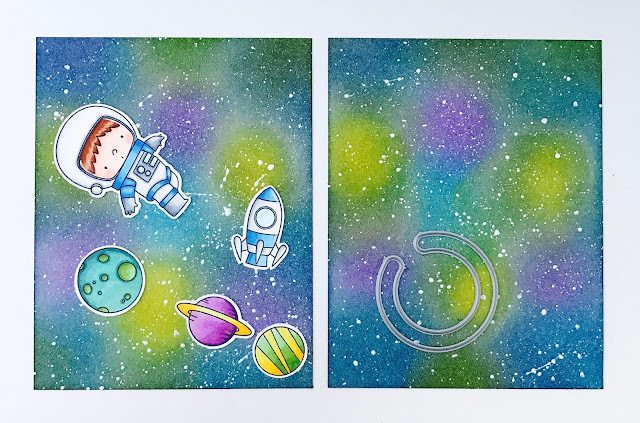 For the images, I stamped on white card stock, colored it using Copic markers and fussy cut them. Then, I adhered the cut images to the front panel. I used doubled sided foam tape behind the frogs to add dimension. I also added Wink of Stella to the hearts and the flowers to make it sparkle. Lastly, I adhered the front panel to the card base. Hello everyone! 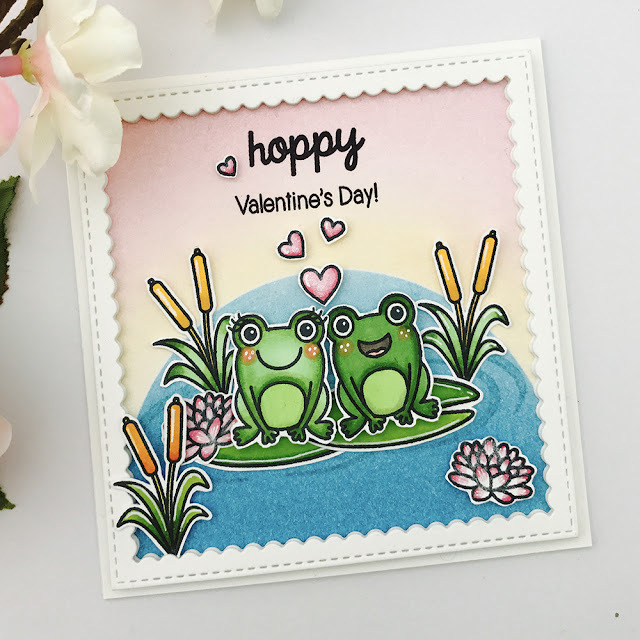 Amy here to share with you a card I made using the Timeless Tulips and Color Me Happy stamp sets. This was only my second time using a layering set, but after making this card I've become a fan of the style. 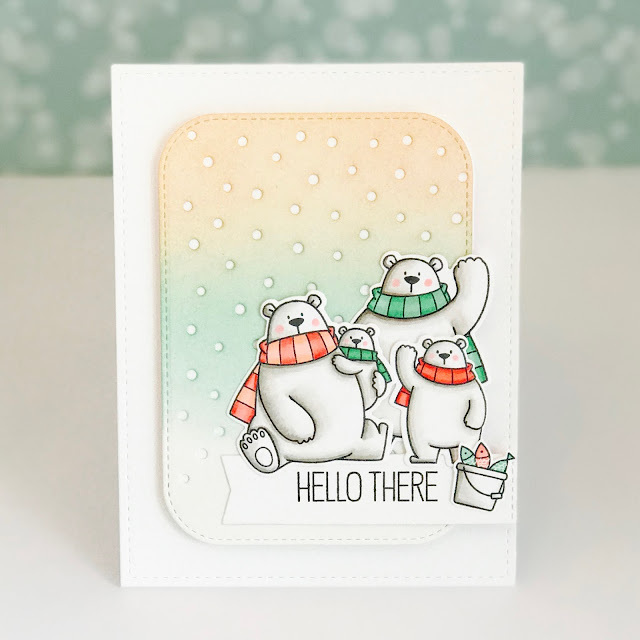 As I mentioned before, I don't make cards with layering stamps. Therefore, I don't own any dye inks with coordinating colors, or that will produce a crisp stamped image. However, I do have a whole collection of Distress inks and I thought I'd give them a try. The images can be crisper and stamped better but I think they still turned out pretty, do you agree? 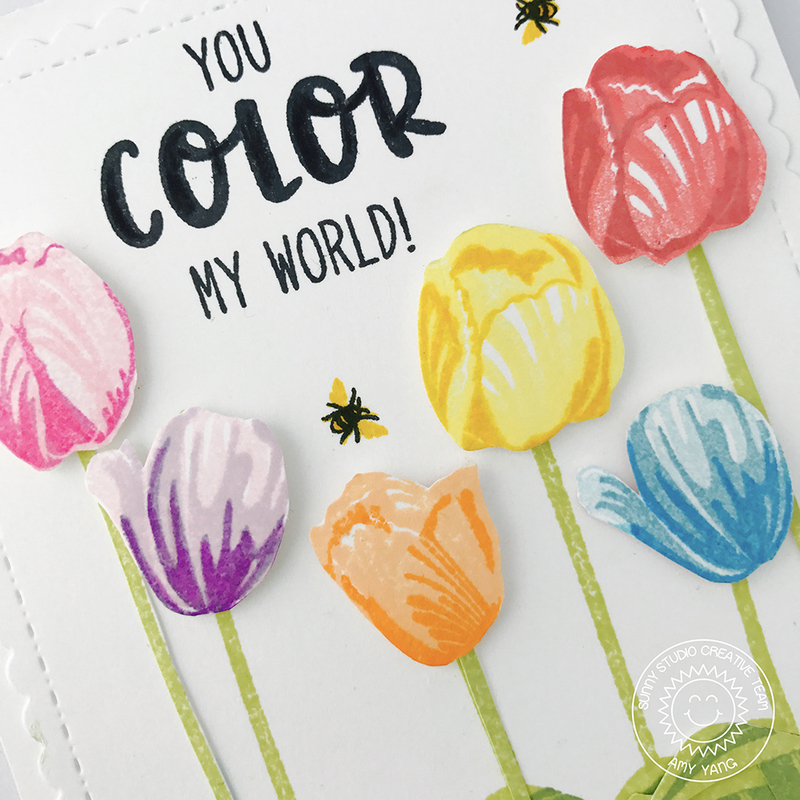 The sentiment says "You color my world" so I wanted this card to be colorful. 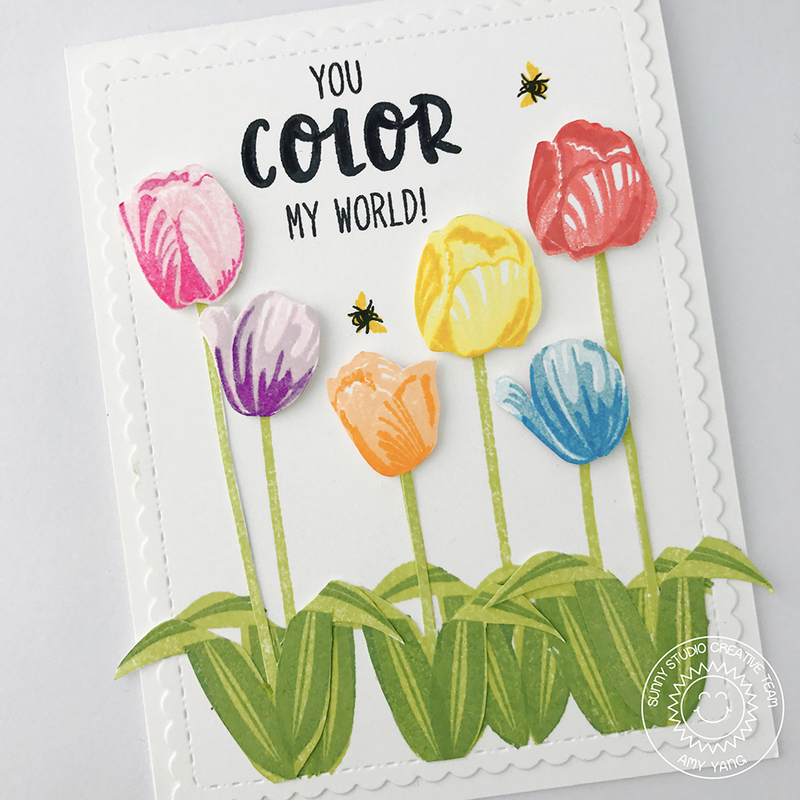 I used various Distress Inks to stamp all different style tulips you find in this set, along with three stems and leaves. Next, I fussy cut them out. Then, I stamped three stems and leaves again, this time directly onto front panel, leaving space between them. 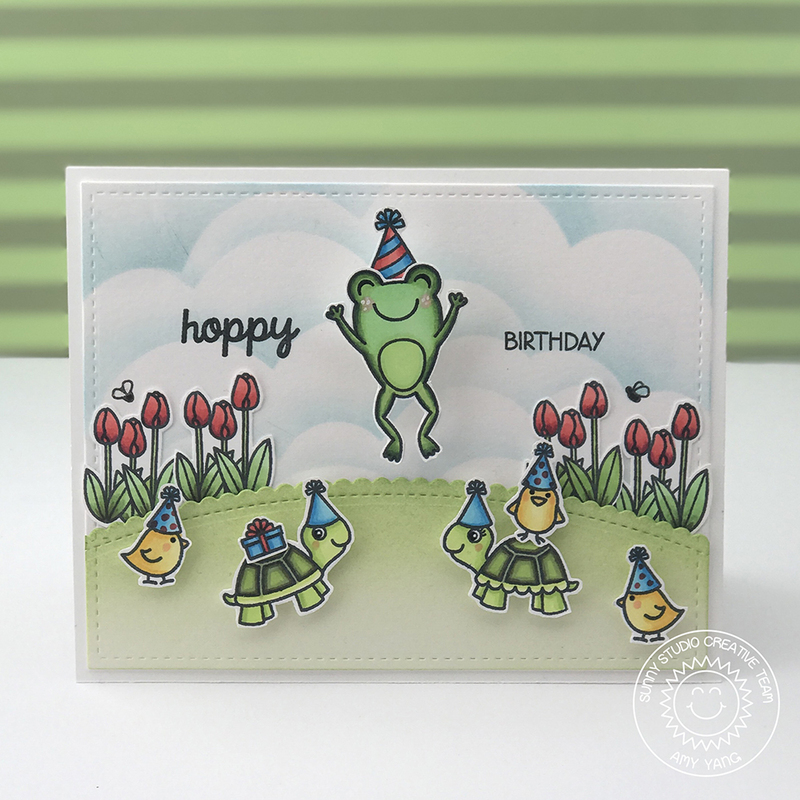 At this point I also stamped the sentiment and added the cute little bugs. Finally, I adhered the other stems and leaves in the open spaces. I added foam adhesive behind all the tulip buds and added them to the front panel. 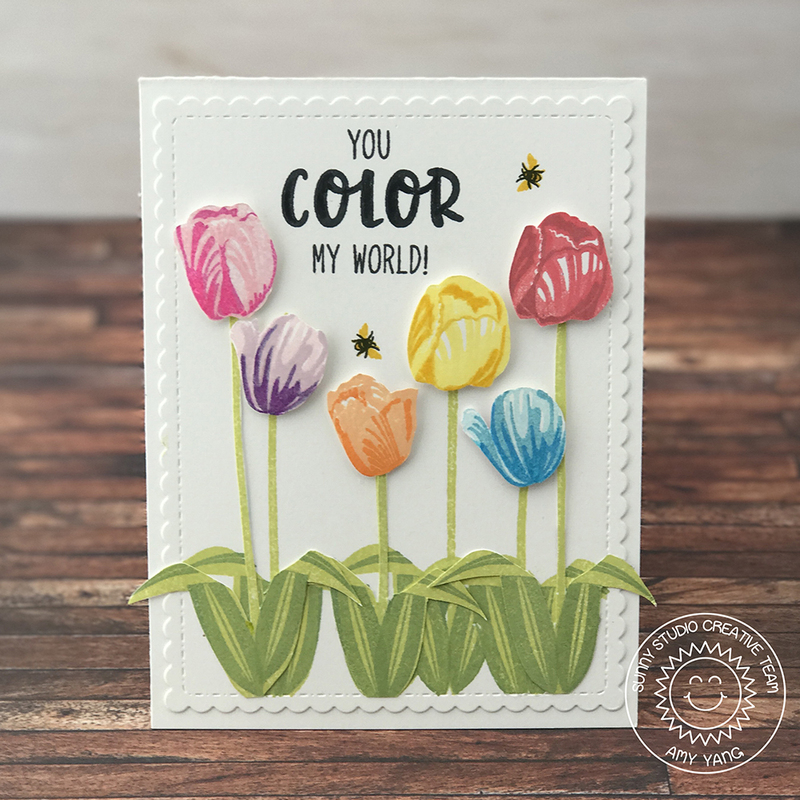 I really enjoyed working with the Timeless Tulip stamp set; it produces really pretty flowers. It also inspired me to pick up some dye inks that are meant for layering. 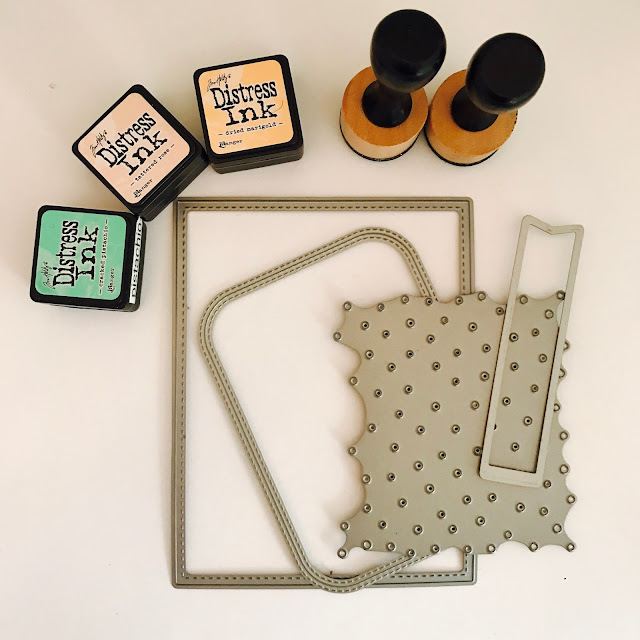 I can't wait to try them out with this stamp set again. Maybe I can share those with you next time. Thank you for stopping by! Hello friends! 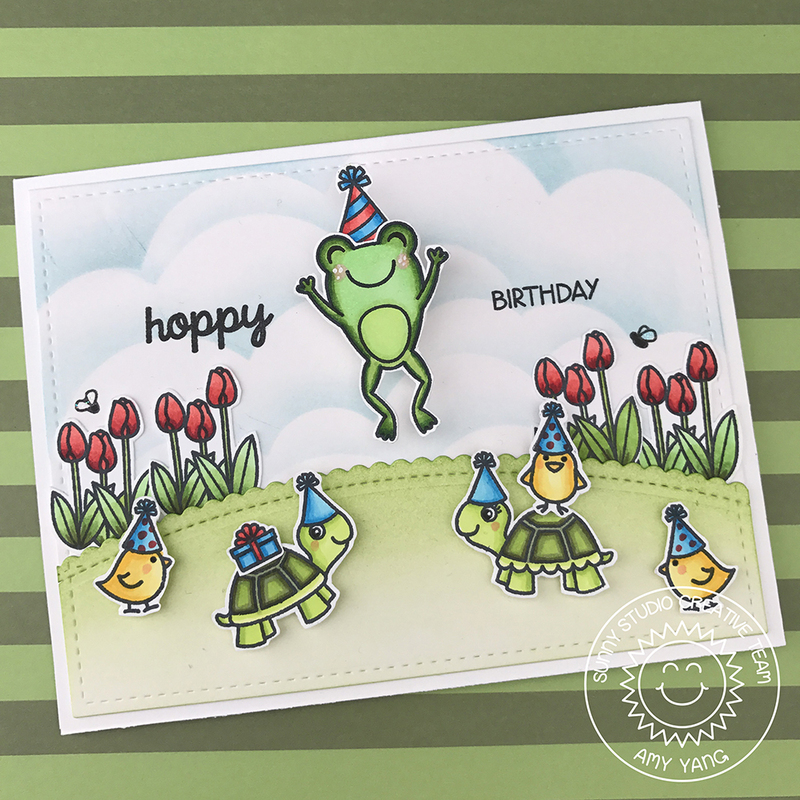 Amy here with a cheerful and fun birthday card I made by combining three stamp sets together: Froggy Friends, Turtley Awesome, Easter Wishes. 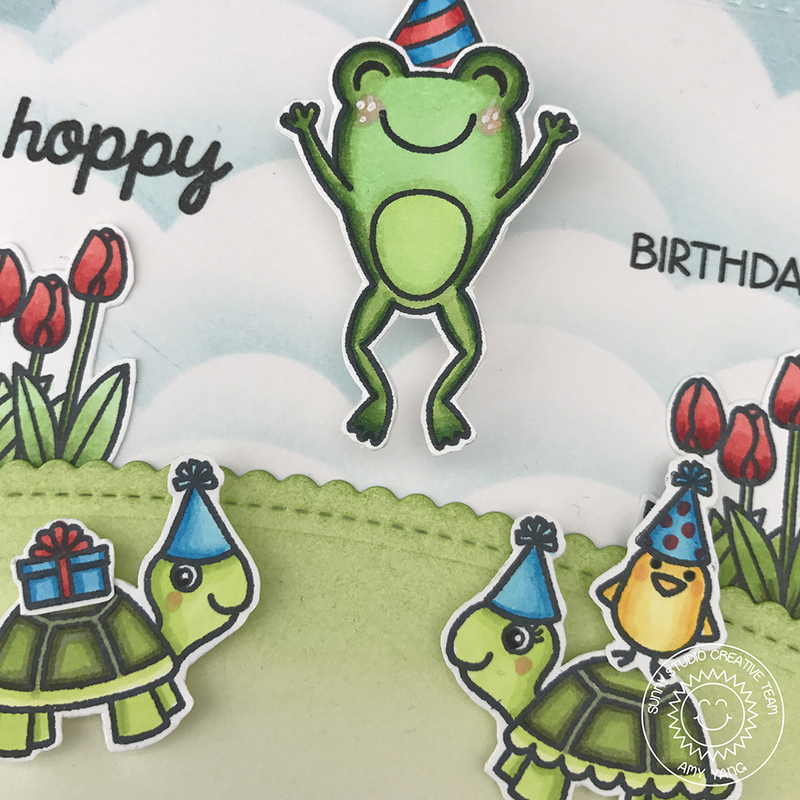 These adorable critters are here to wish someone a very Hoppy Birthday. 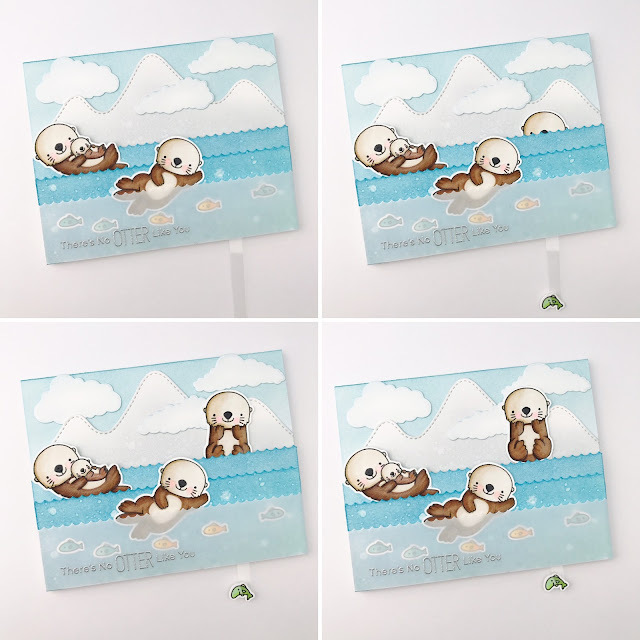 To create my front panel, I used a cloud stencil to color the background using Distressink in Stormy Skies. I also colored the die cut hill using Twisted Citron and added it to the front panel using foam adhesive (for dimension). To add the party hats to the turtles and the chicks for a cleaner and more seamless look, I used the masking technique. Masking is a simple technique where you cover a stamped image so that the other images may be placed over it. First, I stamped the party hat on masking paper and cut it out. Next, I stamped a couple of hats on white card stock . I adhered the mask over the corresponding images. Then, I stamped the the turtles and the chicks over each hat. 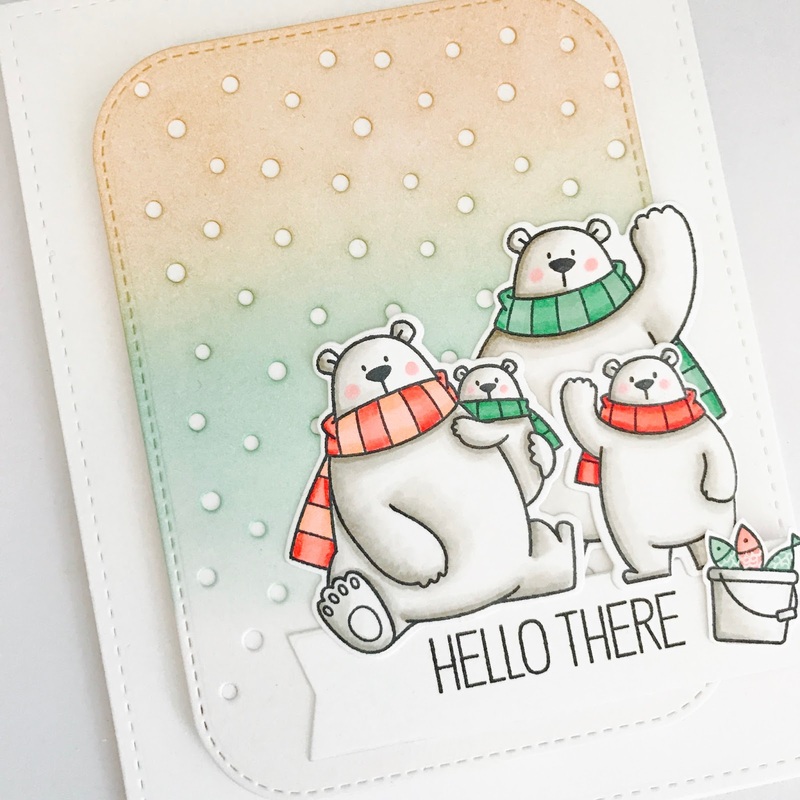 Finally, I stamped the rest of the images I used on the card and colored them with copic markers. Isn't the frog on this card the cutest thing? His expression just makes me smile. Since this frog is a jumping image, I thought it would be clever to make him wobble. So I made my own wobble spring using some craft wire and tape. I hope you like today's card. I had so much fun coloring these images and putting this card together. Thank you for stopping by, and I look forward to sharing more cards with you next time! Hello there! 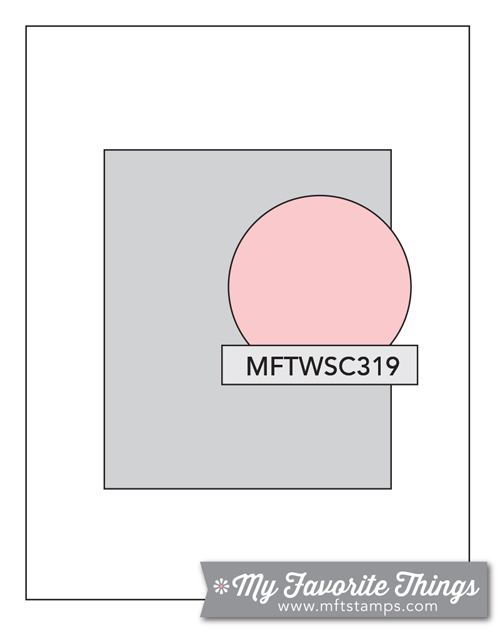 I did some coloring last night with MFT: strike-up-the-band stamp set. I decided to try making a bendi card for the first time to hold all six bunnies. 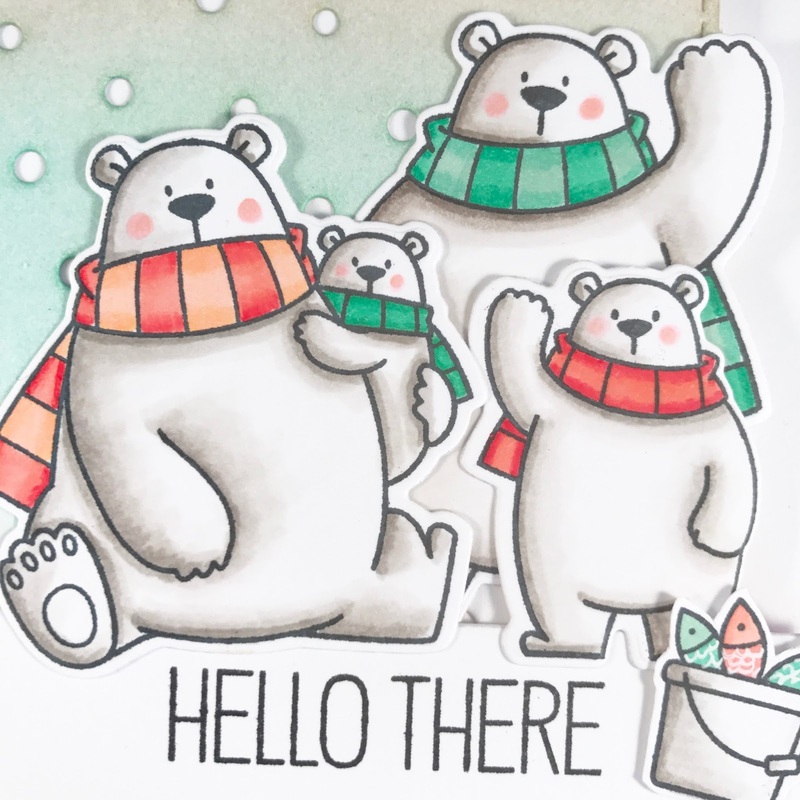 I stamped the images with black ink and colored them using copic markers. 1.I used cloud stencils made with die-namics-stitched-cloud-edges to create puffy clouds on cut 5x61/2 Bristol paper. I applied Distress ink in Salty Ocean. 2.I used die-namics-new-york-skyline to die cut gray cardstock and used the other side to create to a shadow using Distress ink in Weathered Wood. 5.Once I figured out where I wanted my tabs to go I used Exacto knife to make slits in the paper. This allowed me to insert the tabs I made at the end of the two strips to create bends. 6.Lastly, I assembled all the pieces together and adhered the images. What's great about this card is that you can take the tabs out and flatten it for mailing purpose. 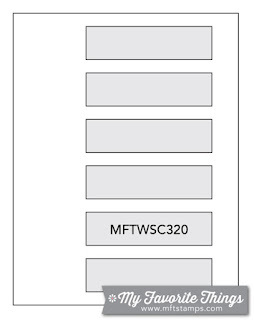 Then, the recipient can put it together to have the card displayed. 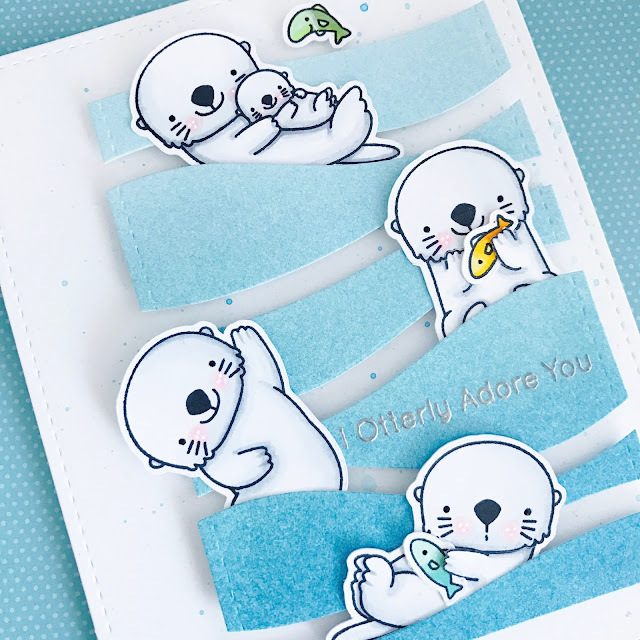 I'm happy with the way this card turned out but I think I can make it better next time (I didn't create enough of the bend in my strips). So you'll be seeing more bendi cards from me in the future. 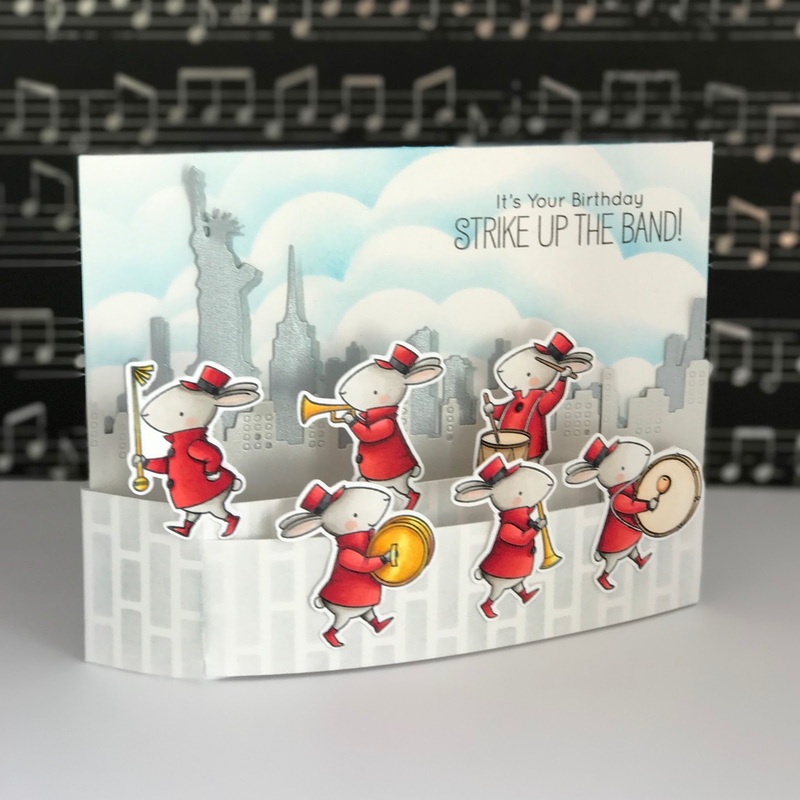 To get a better idea on how to make this type of card you can watch Jessica Frost YouTube video HERE. Hello friends! Exciting news, Pretty Pink Posh is now OPEN and I am thrilled to announce that I will be joining the Design Team. 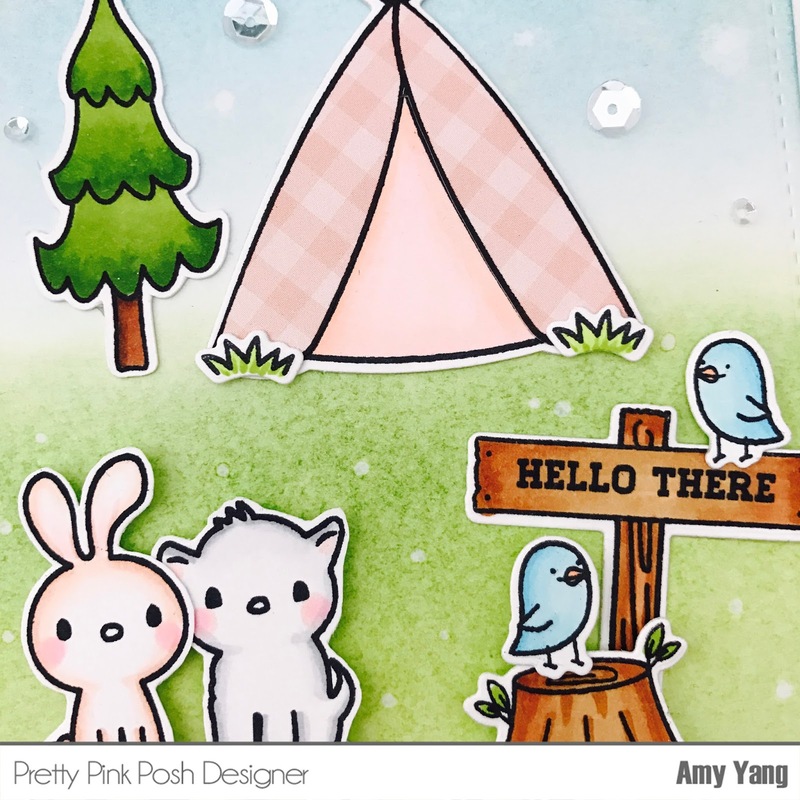 For my first card, I created a sweet scene using Holiday Pals and Camping Friends stamp sets from Pretty Pink Posh. I just adore these images!!! To create my front panel I started by die cutting a A2 size white card stock and used Distress Inks for the background. I applied Twisted Citron, Mowed Lawn, Broken China, and Salty Ocean working by way from the bottom to top. I added some texture by adding drops of water. I stamped and colored my images using copic markers and then Die Cut (most of them) with coordinating dies. For the tent, I added patterned paper to the outside and colored the inside to match. Then, I adhered the images to the front panel, adding foam tape behind few of them, to add dimension. I also placed couple of PPP Sparkling Clear Sequins. They add so much sparkle to the card. Lastly, I adhered the front panel to the card base that was slightly larger on the sides. Paulina, thank you once a again for this great opportunity to work with your amazing products and super talented team. 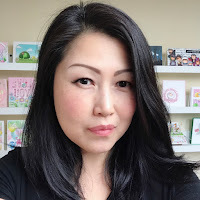 In the honor of re-opening she is doing a great GIVEAWAY with announcement of the team members. I hope you like today's card. I look forward to sharing more Pretty Pink Posh creations with you. Thank you for stopping by and have a wonderful day!! !